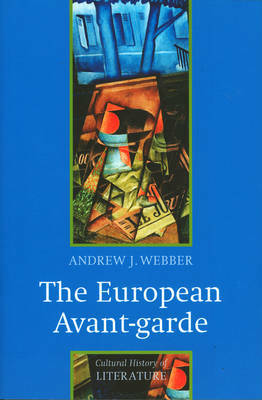 This book offers an informative and accessible cultural history of the European avant--garde in its early twentieth--century heyday. It provides comparative coverage of cultural experimentation across the major European languages, including English, French, German, Russian, Spanish and Italian. Andrew Webber presents striking examples to illustrate a time of unprecedented experiment and energetic performance in all aspects of culture. Readings of some of the most important and characteristic avant--garde texts, pictures and films are set against some of the key developments of the period: advances in technology and psychology; the rise of radical politics; the cultural ferment of the modern metropolis; and the upheaval in issues of gender and sexuality. The authora s mediation between a variety of cultural forms, combining political and psychoanalytical modes of understanding, evokes the richness of the age in a manner that students will find both illuminating and provocative. This volume will be an excellent textbook for courses on the avant--garde in departments of comparative cultural studies, literature and film studies.